It’s tempting to call British writer Gareth L. Powell a rising star in the science fiction genre, but he’s been around and publishing for some two decades. Still, it’s safe to say his just released novel, EMBERS OF WAR, has catapulted him into higher spheres. 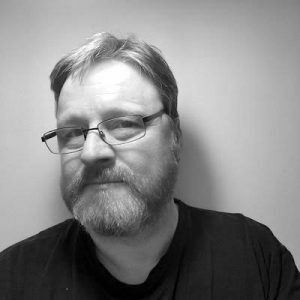 His work has been compared to famed SF author and fellow Brit Iain Banks. 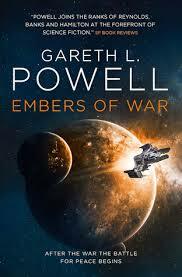 One of the hardest working writers on the Scepter’d Isle, Powell’s ‘Embers’ is flying off the shelves at Warp Factor 9. It’s his sixth novel. His first published book was the 2008 collection of short stories, The Last Reef and Other Stories. KEN: Your just-released space opera epic, Embers of War, seems to be more than an ember on the science fiction market — it’s on fire with readers. One of the main characters is a sentient spacecraft that is dealing with guilt form the role it played in a brutal galactic war. I heard through the grapevine (okay, it was Twitter) that one of your inspirations for your new novel was an exhibit called “The Golden Age of Luxury Liners.” Is that true, or shouldn’t I believe everything I read on Twitter? GLP: That’s actually true. It was while reading about the Carpathian coming to the rescue of the Titanic that I conceived the idea of an organisation dedicated to rescuing the crews from wrecked starships. GLP: There is only one commandment, and that is: ‘Thou shalt not bore the reader.’ Everything else is up for negotiation. There are no hard and fast rules for science fiction. When you have the whole of time and space as your canvas, you have an almost infinite number of ways you can tell your story. KEN: Obviously, the U.K. has produced some of the greatest science fiction writers – Arthur Clarke, Brian Aldiss, H.G. Wells, China Miéville. Iain Banks, Malorie Blackman, Nicola Griffith, Nick Harkaway to name just a few — as a British author, do you find any advantages or disadvantages of writing under the shadow of a waving Union Jack? I know one of your novels was a finalist for a best translated award in Japan. But, for example, do you have concerns about gaining traction in, say, U.S. markets? I guess what I’m trying to ask is: Is there anywhere that the sun sets in a challenging way on the Brit Lit empire? 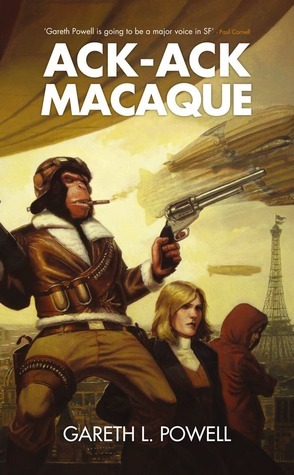 Powell’s 2013 alternate history novel, Ack-Ack Macaque, won the British Science Fiction Association (BSFA) Award for Best Novel. GLP: British science fiction has always been a powerhouse of imaginative thought, and I’m proud to be part of that tradition. However, I don’t write as a self-consciously “British” author. I’m writing stories for anyone who wishes to read them. That said, I’m not as well known in the U.S. as I am in the UK, but I’m hoping my new novel EMBERS OF WAR will start to change that. KEN: Science fiction great Ray Bradbury kept a sign on his writing desk that said, “DON’T THINK!” Do you have a sign on your desk? If you don’t, what might such a sign say in terms of some fundamental writing advice to yourself? 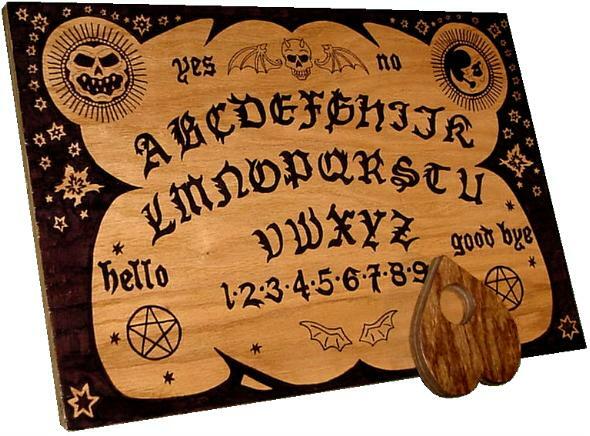 GLP: I have a note pinned to the cork board above my monitor that says, “Be specific.” This is to remind me that I should try to find the specific, relevant details in a scene. So, rather than just say the dead body smelled, I should try to describe exactly how it smelled. Or rather than saying one character has brown hair, I should say they have hair the exact colour of strong tea before the milk is added. These details make the writing more vivid. KEN: You have a robust Twitter presence and a lot of followers that interact with you enthusiastically. How do you find the time to work your Twitter so much? 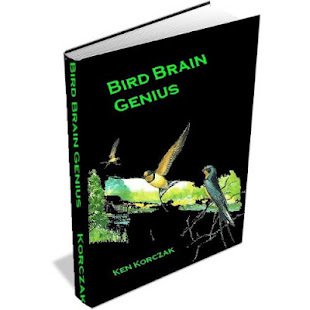 You also offer to answer writing questions to all comers. I know a lot of writers decry Twitter as a distraction, maybe a necessary evil and frequent challenge to one’s writing discipline. GLP: I probably spend far too much time on Twitter, but I enjoy interacting with readers and fellow writers. The science fiction writing and publishing community (especially in the UK) is quite a tight knit community. If you’ve been around a while, you tend to know a lot of people from it. So for me, Twitter is like hanging out in a convention bar, talking with friends and peers. Plus, I remember being a fledgling author, and the lessons I had to learn the hard way. 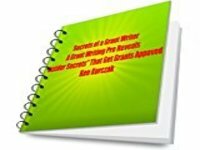 So if I can help those aspiring writers just starting out now, I’m glad to pass on the fruits of that experience. Life’s better when we help each other. KEN: The great French writer Gustave Flaubert said, “Writing is a dog’s life, but the only life worth living.” What do you think? GLP: Writing is an emotional and financial roller coaster, but it’s all I’ve wanted to do.